Queensland has certain lifestyle and environmental factors that contribute to certain specific pest problems. Heat, moisture, urban sprawl and proximity to large-scale industrial agriculture and food processing create a perfect storm for pests. Around one in four Queensland homes will have a termite problem in their lifespan and termites can be just the tip of the iceberg. In this article, we will discuss four common pests in Queensland homes; termites, cockroaches, ants and mice. Termites are an offshoot of the cockroach family. Although they are commonly called white ants because of their size and appearance, their evolutionary origins are that of cockroach specialisation. 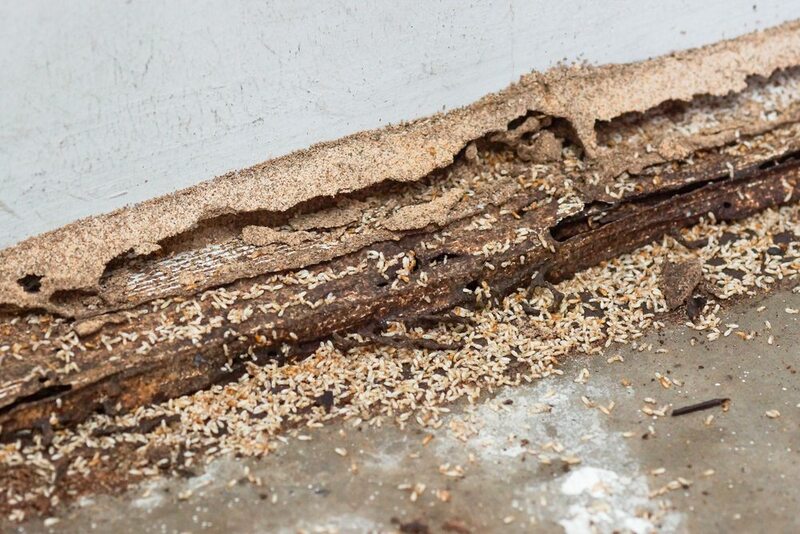 There are more than a dozen different kinds of termites in Australia, and not all of them are destructive to timber. If you suspect a termite infestation, it is crucial to book a specialist inspection, do not attempt DIY treatment or disturbing their nests. Termites have highly developed social strata and complicated social patterns that can involve a hasty but impermanent retreat upon disturbance. If you don’t know what you are doing you could very easily make the problem a lot worse. One of the easiest ways to manage termites is with chemical barriers. If you are building or purchasing a new property in Queensland, you should definitely hire a pest control company to do a thorough check. There are literally hundreds of different species of cockroaches in Australia. If that sentence makes your skin crawl, also consider that they are major harbingers of disease and pathogenic bacteria. They will feed on that putrefying grease behind the stove, the faeces of other cockroaches and even other animals. Cockroaches can find their way into even the cleanest homes and because they love warm, moist climates, they can be a massive problem in Queensland. In contrast to cockroaches and termites, mice can be relatively easy to control. Simply by nature of their size, they are easier to exclude from your home and their droppings are easier to spot. Nonetheless, they are not to be underestimated; they can reproduce quickly, chew through walls and floorboards and once they have established the run of a particular environment, getting them out is difficult. Whether you know about a pest management issue or not, AGJ Pest Management can give you peace of mind. Our professional consultants and exterminators offer the complete range of pest control solutions. We can inspect a property before purchase, do a risk assessment and use our thermal imaging cameras to investigate the walls. We know pest control is a complicated process and have the kryptonite for every pest. It is tempting to consider DIY solutions to save money but given the likelihood of incomplete eradication and subsequent reinfestation, calling the professionals will save you maintenance in the long run. What’s more, if you have a visible pest problem, chances are there’s an invisible one. At AGJ Pest Management we can take the stress out of keeping your house pest free, contact us today.